s’mores and cookies..yep love autumn! 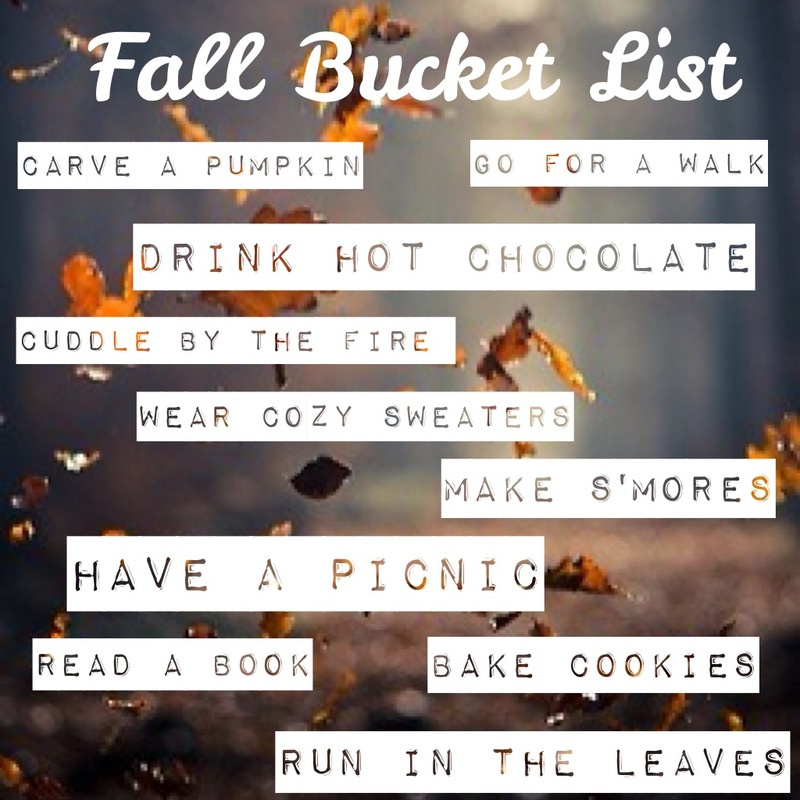 Yes, a fall bucket list is exactly what I need! Some inpiration to these Autumn months i really necessary! Sometimes we forget the small things are really the ones that count. Fall is the best season!! I love it for football and Thanksgiving really! I will definitely have to try s’mores with strawberries and bananas! Great post!! Fall is my favorite season. Not sure I could narrow it to one thing, though. But I especially love running during this season. I’ve survived the heat and humidity of summer, and crunching through leaf-scattered trails on chilly mornings seems like a well-deserved reward. Every post puts a smile on my face. Good work. Thank you so much! And that is amazing that you’re having them at your wedding! !